The city of London is a place that is known for its diversity when it comes to culture. This is a city that is a melting pot of different ethnicities and cultures, so it comes as no surprise that it is also a place that hosts a huge variety of exciting festivals and events on an annual basis. If you are eager to soak up some culture, excitement, and fun while you are in London, it is well worth timing your trip to coincide with the festivals that you are interested in. Attending one of these events will enable you to enjoy London from a whole new perspective as well as enabling you to sample new experiences. 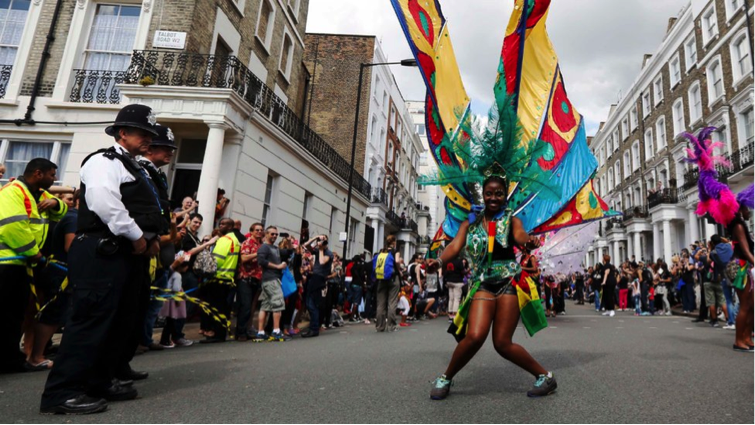 Notting Hill Carnival: Amongst the best known and most vibrant of the annual festivals held in London, the Notting Hill Carnival is truly a sight to behold. This is a festival that attracts around a million people and has become hugely popular with many visitors attending in order to immerse themselves in the multicultural vibe that this part of London is so well known for. Chelsea Flower Show: Anyone with an interest in horticulture or natural beauty should head to this incredibly popular annual event, which also attracts huge numbers of people. Taking place in late May, this is also a historic show that has been running since the 1860s and has now become one of the most popular events held each year in London. The Great British Beer Festival: Taking place in August each year, this is a festival that is a must for beer lovers and those who simply want to sample new beverages. The festival has been running since the 1970s and takes place over the course of five days. You can try hundreds of beers and ciders when you attend this festival with a range of breweries setting up bars for the event. London Restaurant Festival: As a result of its cultural and ethnic diversity, London is also home to restaurants that serve up a huge array of cuisine from all around the world. London Restaurant Festival is an event that takes place in October each year and last for a week, with hundreds of restaurants taking part in the event. This is a celebration of the culinary diversity that London offers and is a great event for foodies to attend. Regent Street Festival: Held every September, the Regent Street Festival is a very popular event that is attended by thousands of locals and visitors. One of the unique things about this event is that the theme changes each year, which means that the type of entertainment and attractions also change in line with the theme. This is a great way to spend a day, as it enables you to enjoy fun, excitement, and mingle with people from all walks of life. There are, of course, many other festivals that take place over the course of the year in London, from literary and film festivals to food, drink, and even design festivals. So if you are visiting London don’t just take one of the many discount tours of London, spend some time seeing one of the great festivals London has to offer too. Hello, I'm Adele. Travelling has become my most favourite thing to do and I'm loving all the new experiences and friends I've made throughout my journey so far. Leaving home with only a back pack and a desire to see more of the world has been an eye opener in many ways but I wouldn't change anything. Read about the places I have visited already and where I'd like to go next on my website; if you have any suggestions or questions I would love to hear from you. Ciao for now and I hope you'll be back soon.